Alliance consistently provides quality paper work products seven days a week. Our offices centrally located in the CBD and on the Northshore are fully equipped with the newest reproduction equipment. 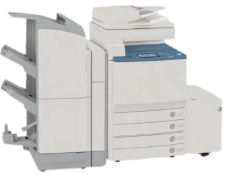 We have multiple, extremely rapid b/w machines as well as several high quality color copiers. Our business can assist you on any paper project with security, accuracy, and quality.